The Edinburgh Fringe, the world’s largest arts festival, features an incredibly diverse platform for creative exploration and talent. It is a celebration of refined and sophisticated entertainment performed by individuals all around the globe in Scotland’s capital. This year, the festival runs from 3-27 August and features an ever-growing voice for important psychological themes. One of the most memorable shows of this year for me was ‘See-Through’, an ‘edited, unedited, live, pre-recorded, reality show that invites you to see behind the camera’. 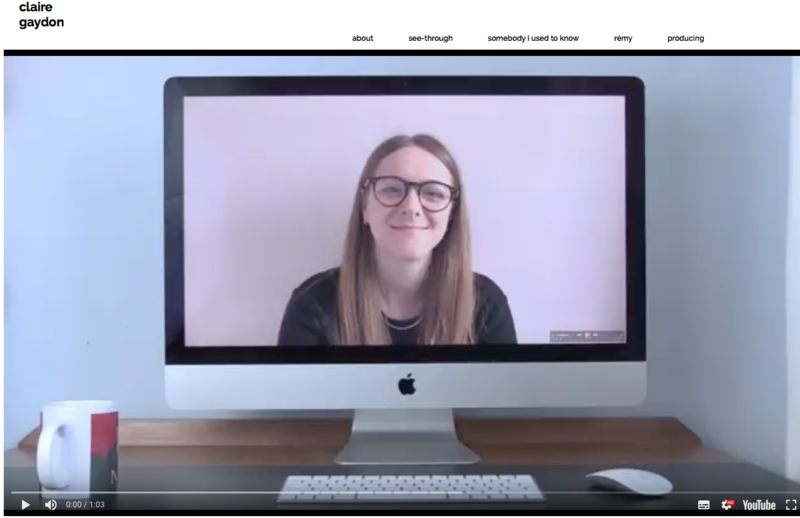 The premise of the show, devised and performed by Claire Gaydon, revolves around the statistic that 34 per cent of young people voted ‘YouTuber’ as their top career choice. Gaydon faces her back to the audience and uses her laptop, projected on a big screen in front of her, to research the rapidly shifting online landscape of expectations on social media, using these to shape what she films for her next YouTube video in a deliberately overenthusiastic and forced manner. The show is intelligent, displaying the desperate need to be liked over being authentic as a given for success. Gaydon ensures it is informative and not patronising to those who use and enjoy the platform whilst touching on the psychological danger of being trapped in a loop of counterfeit in an effort to gain popularity, likes and views. She takes us through the experience of creating a conventionally successful YouTube channel and at one point, involves an audience member in a ‘challenge’ video, putting on an obligatory smile and portraying their relationship as a seemingly meaningful friendship. Gaydon’s wit is most relatable to Generation’s Y and Z and could be seen as both subtle and blatant. As well as exposing the clearly unwholesome but laboured and sometimes robotic lifestyle of a YouTuber, she exposes our guilty pleasure of watching ‘Primark hauls’ and the ‘cinnamon challenge’. The performance reminded me that, as a collective, we give away millions of views to creators we believe are offering something original and worst of all, are offering their true selves in front of the camera. The reality is that there is an immense amount of pressure that creators feel to summon content worthy of views, provoking inauthenticity that is forgotten by the blissful ignorance of an audience member. A further highlight from the Fringe was Rory O’Keeffe’s ‘The 37th Question’, part of PBH’s Free Fringe, an organisation that promotes free shows during the Edinburgh Fringe and performers instead welcome donations. The 37th Question is a storytelling comedy play inspired by the 'The 36 Questions’ – a social experiment designed to encourage interpersonal closeness and intimacy. The questions, after being featured in a New York Times article titled ‘To Fall in Love With Anyone, Do This’, went viral. O’Keeffe explains that he wrote apps, namely the X-Factor and Love Island apps where people are required to make seemingly unique decisions which are actually masked by the illusion of choice. He uses this narrative to introduce the audience to two individuals through a voice over, Zoe and Stuart, who are on their first date and decide to answer a few of the 36 questions. In between the voice-overs, O’Keeffe carries the audience through Zoe and Stuart’s ordinary love story, detailing the weddings and parties they attend and the occasional inside joke they share together. There are narratives of Zoe questioning Stuart’s faithfulness to her, right at a time in their lives where they were both looking to propose to one another – the 37th question. O’Keeffe occasionally pauses, offering the audience ‘app style’ options to decide how the story progresses and determine the couple’s future. O’Keeffe weaves the together the love story at the perfect pace, using spontaneous humour, unphased by any nonsensical justifications made by audience members on their choices for progressing the story. He is naturally entertaining and manages to hold the attention of the room through his skilful methods of combining the wish of the audience and his own narrative for Zoe and Stuart.